Thank you for visting my website!! 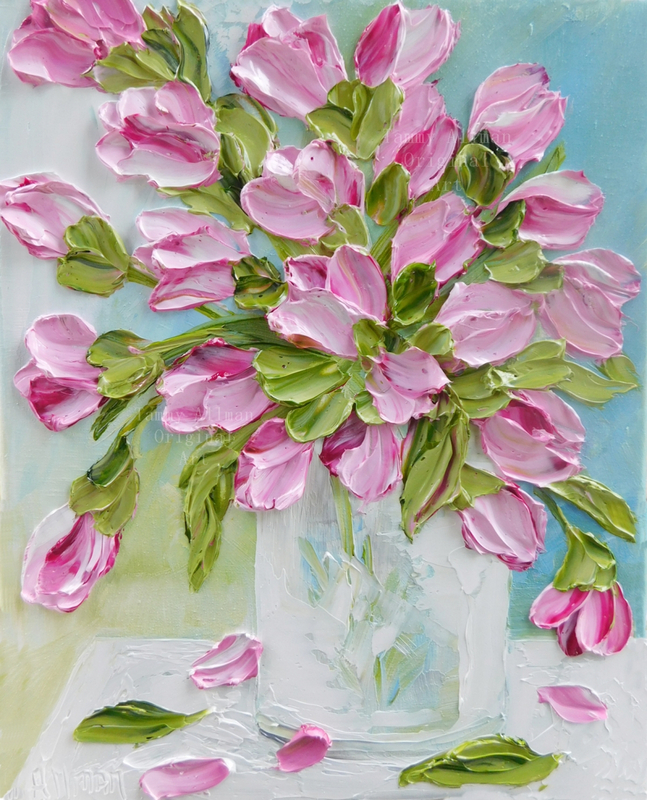 Create your own tulip oil painting to match your decor. Your painting will look like the painting in photos. 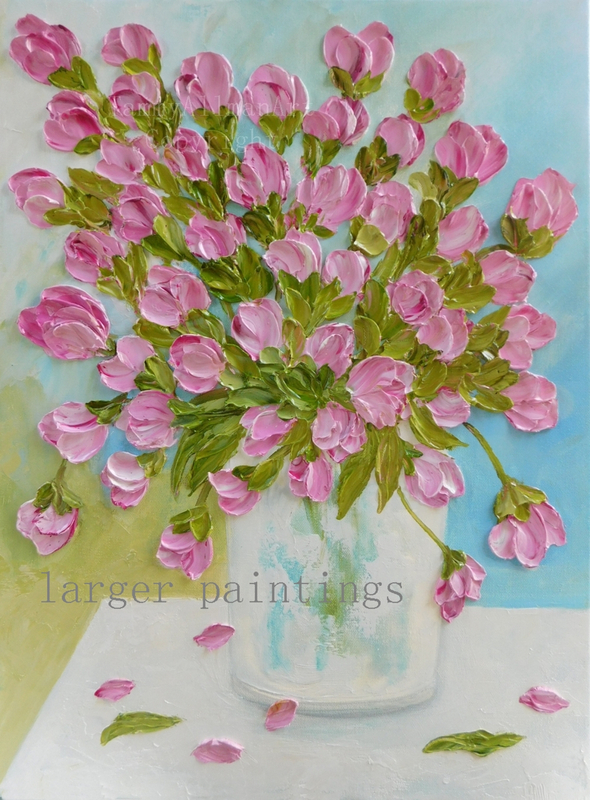 Scale of flowers will change according to the size canvas your ordering but style will be exact. This is a custom painting and please allow two weeks for painting to be completed and dry enough to ship. I will send photos of painting when it is complete for your approval. You are welcome to make changes once you receive the photos. How to order: Please check the size and color your wanting from the drop down menu. Also check the type of framed canvas you would like. Gallery canvas has a wide edge of 1.75 and hangs directly to the wall. Studio canvas has a 7/8 edge and can hang directly to the wall or you can have it framed to enlarge the painting in a open art frame. Please convo me if you would like for me to change the colors in the background or have any other special request. Flowers will scale to the size you choose and additional flowers will be added according to scale. I would love to work with you on your own original custom painting!! Shipping: If you are ordering multiple items then I will credit back your shipping after purchase to the exact shipping cost. Smaller paintings can be packed together but larger painting will have to be shipped in a separate box. I can add watercolors to a medium flat rate box if your ordering a painting that measures 9x12 or under. Signed by me and my artist statement attached to back. All items in my shop are purchased through PayPay. See shop polices if you have questions. This item is trademarked by TammyAllmanArt and all rights are reserved to artist. This image can not be copied or used in any form without license from artist. International is included in copyright. International attorney retained for international theft. Artist retains all rights after sale and images cannot be reproduced without license from artist. Thank you so much for visiting my shop and I hope you will visit often! Copyright and Trademarked to TammyAllmanArt. License required for use of images.